specializing in serving the Small to Medium Business arena. IP Office R11 available NOW. A perfect fit with Avaya IP Office! Avaya Call Reporting helps you manage your phone system and business with ease and confidence. Cradle-to-grave call reporting and tracking is presented through over 50 standard reports. Recording Library provides easy access to recordings within the same reporting interface via IP Office Voicemail Pro integration. Realtime agent seat and Agent Dashboards enhance IP Office hunt groups and deliver visual call management with wallboards and customized agent dashboard displays. Which Avaya IP Office Releases support Avaya Call Reporting? 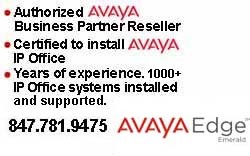 Avaya Call Reporting is targeting new system installations for IP Office R10.1 and R11.0. IPOSS and Avaya Call Reporting maintenance are required. Does Avaya Call Reporting work on Essential Edition? Yes, Standard Base reports are supported with Essential Edition with a separate PC required to support the Avaya Call Reporting Solution. The Recording Library and Add-on service are not supported on Essential Edition / Embedded voicemail. These services require Voicemail Pro. You can’t manage what you can’t measure. Avaya Call Reporting offers over 50 standard reports to create visibility and efficiency. Cradle to grave reporting can validate each inbound, outbound and internal call from start to finish. With Custom Reports you can create original reports and edit or customize existing reports. Reports can be defined by you, making Avaya Call Reporting fit into your business without having to adjust your daily routines. Reports can be tailored and branded to fit your unique business requirements. Recording Library easily integrates with IP Office Voicemail Pro and cradle to grave reporting. Recording Library enables you to evaluate your employees and listen to their specific calls. Customizable retention policies determine how long recordings are kept, and allow storage throughout your network. Agent Dashboards improve agent productivity and visibility through widgets and account / reason codes. Widgets allow agents to govern themselves and add value to their calls. Account codes enable entry of more information about calls, while reason codes enable agents to notify supervisors of their status. Agent Dashboards also easily integrate into URL based CRM’s such as Salesforce. Realtime enables you to manage your employees in the moment. You can see how many calls are being taken, on hold or missed, along with in progress agent, group or extension calls with wallboards displaying current statistics. Wallboards are easy to implement with pre-built templates and can be customized, including setting alerts and trigger thresholds. Avaya Call Reporting Standard Reports and Add-on License Reports listed on this FACT SHEET.